Home Unlabelled FINALS!!! Owerri Agog As Imo State Nigeria Pageant Set To Take Centre Stage! FINALS!!! 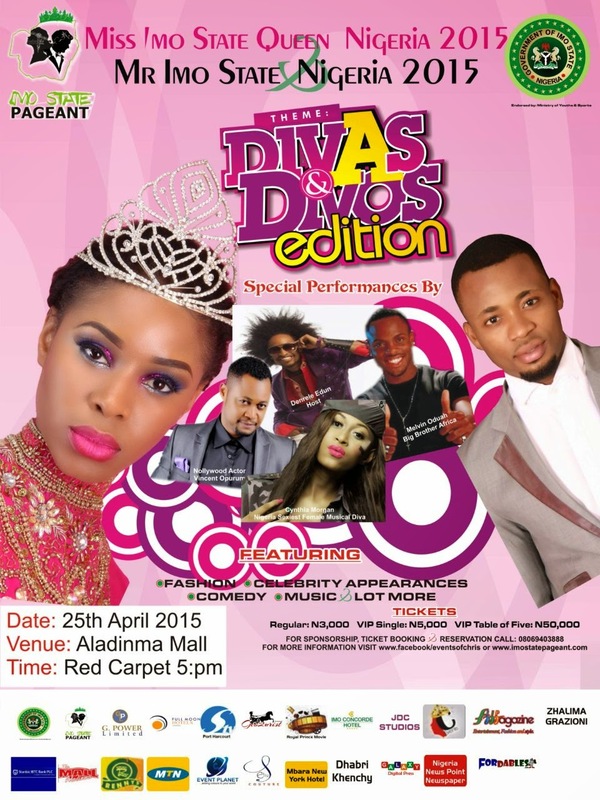 Owerri Agog As Imo State Nigeria Pageant Set To Take Centre Stage! • Over 12 media houses will be all around taking shots and clicks. •And only 1 event will be GRACED!. This wouldn't be an event, its an EXPERIENCE. Tickets: N3,000- regular, N5,000- VIP, N50,000- VVIP.